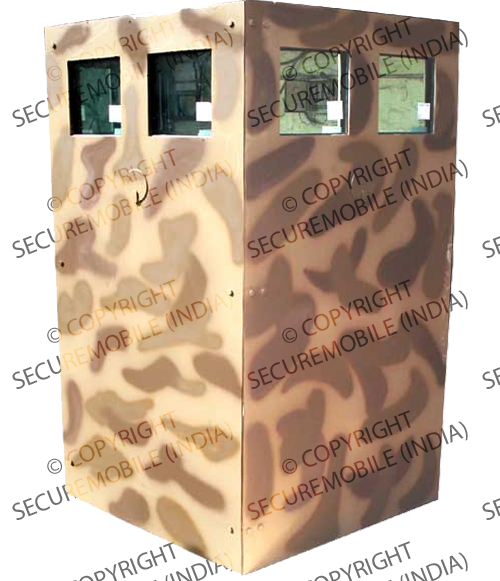 Bullet Proof Products include Bullet Proof Guard Rooms, Sentry Cabins, Bullet Proof Sentry Cabin, Bullet Proof Guard Room, Bullet Proof Watch Towers etc. Pre-Fab Structures, Bullet Proof Customized Structures, Catridge Disfiguring Machine, Road Barriers etc. Bomb Suppression Blanket with Safety Circle,Bomb Basket, Bomb Container, Bomb Sled. 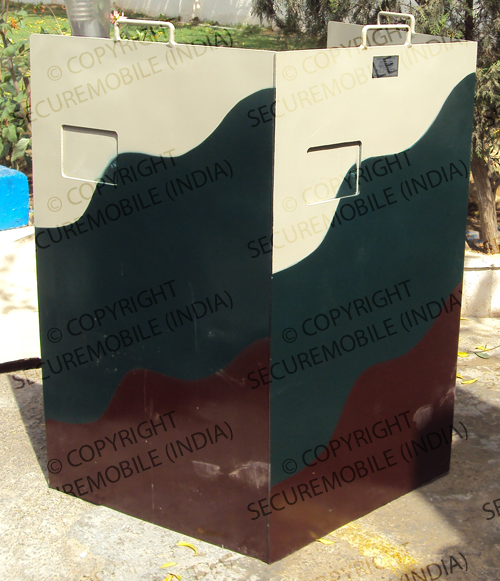 Bullet Proof Cabins with the Good design and equipped with powerful features with the complete Bullet Proof Protection. 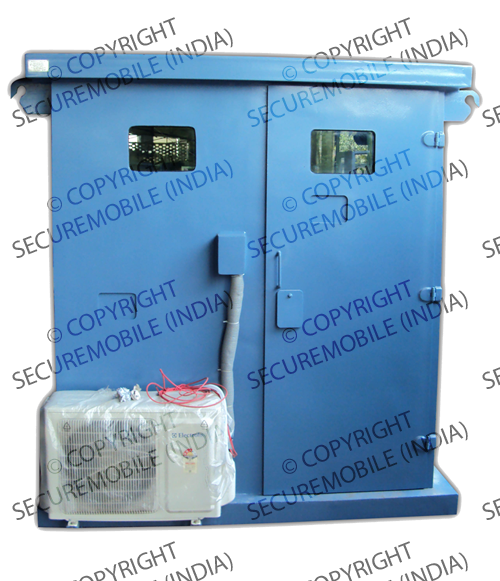 Bullet Proof Guard Rooms are equipped with the Latest Bullet Proof Protection ideal for Strategic Locations. Leadership in the development of advanced armoring has been a commitment of SECURE MOBILE (INDIA) since 1995. We provide the latest and the best that have led to increased protection for Law Enforcement, Military and Security Forces. Secure Mobile (India) was established in the year 1995 by Sh. Rohtash Singh Yadav. Mr. Yadav started this venture after taking voluntary retirement from the Cabinet Secretariat, Central Govt., Govt of India from the post of Asst. Technical Officer with a strong determination to become India's top most manufacturer of various safety equipments for Army, Police, CRPF, BSF, ITBP, RPF and VVIPs. The items selected and manufactured in competition with the International manufacturers are Bullet Proof Jackets and under vests, Bullet Proof Patka, Bullet Proof Helmet, Mobile Sentry Post, Bullet Proof Cabin, Bomb Proof Suits, conversion of Vehicles in to Bullet proof Vehicles.